Before we get to book talk, can we talk rull quick about yesterday's workout? I did it exactly as written this morning (except I left out the off treadmill parts because I was pressed for time), and let me tell you. It. Was. TOUGH. I honestly think I would have scaled it back if I hadn't told you guys yesterday that I was going to try and go for it. So thank you for the unintended encouragement! The hardest parts are obviously the ones where you run at a high incline. That is pleasant for NO ONE. I think minutes 8-13 were the hardest, with 20-23 coming in at a very close second. I mean my heart rate got up to 186 during minute 22. Yikes. That being said, definitely feel free to scale down the workout as much as you need to. And do not feel discouraged if you can't initially complete it as prescribed. I definitely did an easier version my first time through. Fer. Sher. Ver. Zer. I think the easiest way to scale it down is to prolong the walking breaks but still try to hit all of the "hard" intervals. In other words, don't change the inclines or speeds of the hard sections but take longer breaks in between, as needed. The only part I would change the speed on is minutes 34-38, but try to still run that section at a brisk pace. Aim for the pace you would run a speedy three miles. Slower than your 5K pace, but faster than a jog. Alright. Just had to share that with you guys because I promised I would. Did I promise I would? I can't remember, and now I'm too lazy to look. But at least we know I can actually do the workouts I'm posting. You know what else I can do? Read! I can read good. And do other stuff good too. But seriously. As far back as I can remember, I have always loved reading. That is a true statement, since I started reading fairly early (maybe around 6 months 3 years), and my earliest memories don't quite go back that far. At least I don't think they do. It's hard to say whether the things I remember about being 3-4 are actual memories or a combination of things my parents have told me and pictures I have seen. Do you know what I mean? Sorry, weird tangent. Back to books. My favorite book in kindergarten (when I first started reading "real" books) was Charlotte's Web. Like borderline obsessed. I remember (actual memory, not fake story/photograph memory) asking my mom to buy it for me in an airport when I was around that age and thinking that it was the best. purchase. ever. No need for food and water guys, I've got a hardback copy of Charlotte's Web! And even more freakishly, I remember that it was 186 pages. Why can I remember that 20+ year old piece of useless information and not remember people's names 30 seconds after I've met them?!? I don't know. It's a gift. Since this post be gettin' lawng, I will leave you with some of my favorite books from the past 5-10 years. I'm guessing you'd rather read some of these than revisit Sweet Valley High. Strangely a lot of them fall into the non-fiction category. This is weird because I kinda despise history (sorry). Maybe I was just reading the wrong history books? Who knows. All I know is that all of these books are awesome. Read them! DO IT. Then tell me about it. GO! (P.S. 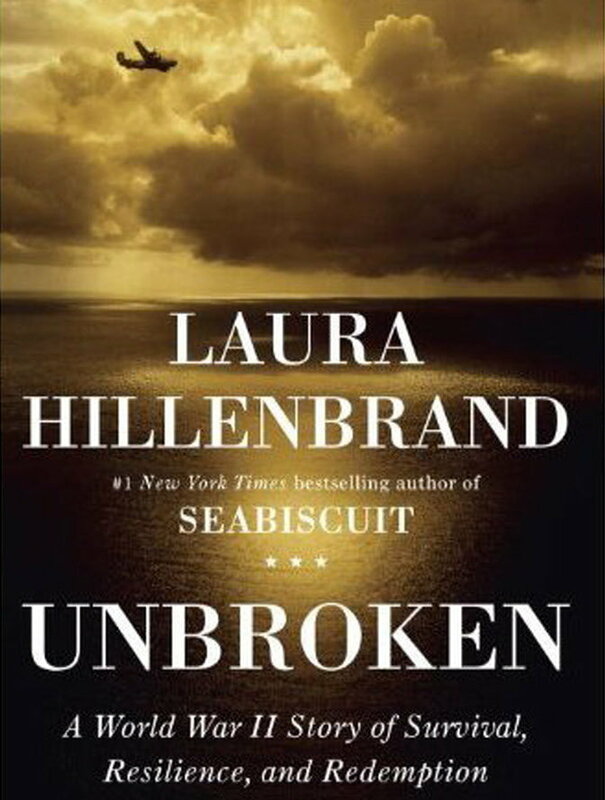 these are not in any particular order, but my favorite book of ALL TIME is Unbroken). What was your favorite childhood book series? What is your favorite book of all time? P.S. I get a lot of my book selections/suggestions from Eat Live Run. Check out her blog if you're in need of some inspiration. But not until you've read the 8 books above. Got it? Good. My grandmother lives on the 13th floor and, without fail, every time I press the 13th floor button I think of Louis Sachar. GREAT SERIES!!! Your list of childhood books makes me want to pick them all up again.